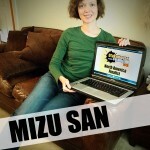 Hello, I’m Mizu San! 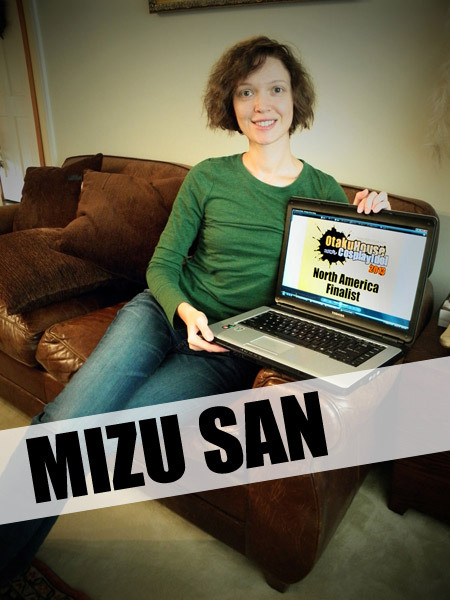 I’ve been cosplaying since 2006, and I’m also a cosplay wig stylist (Wigs By Mizu). 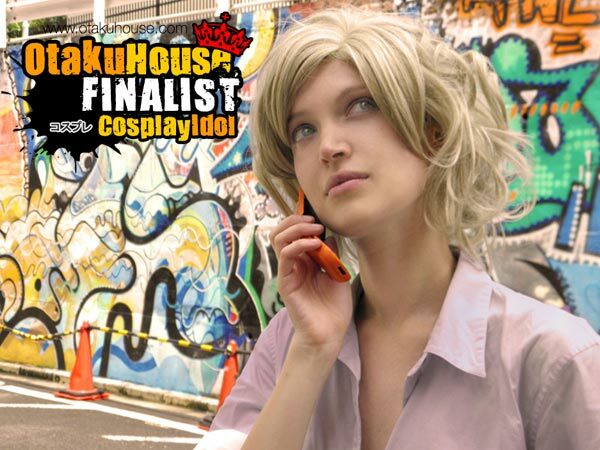 I’m so honored that I’m a finalist in Cosplay Idol 2013! Your votes mean everything to me. I want my cosplays to bring joy to people, and your votes have let me see that I’m doing something right! Again, thank you, thank you everyone. Without you, I wouldn’t be a finalist. Description: Itachi is one of my all time favorite characters. 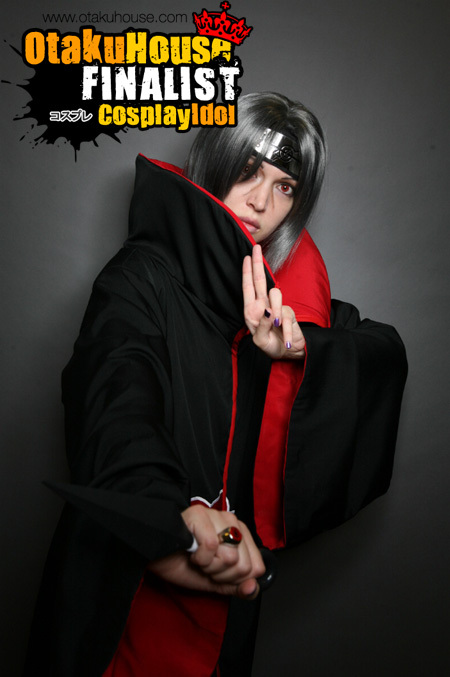 I cosplayed him a few years ago with a pre-made Akatsuki robe, but this year I revamped the costume by making the robe from scratch (I made the pattern, too). Fully lined and adorned with five embroidered clouds, the garment pushed my sewing skills to the limit. I hand-dyed the wig, as Itachi’s hair is a dark grey and not black. Also, I made sure the headband tie wasn’t visible on top of his hair, as shown in the manga and anime. I had to rig up a tricky way of securing it. 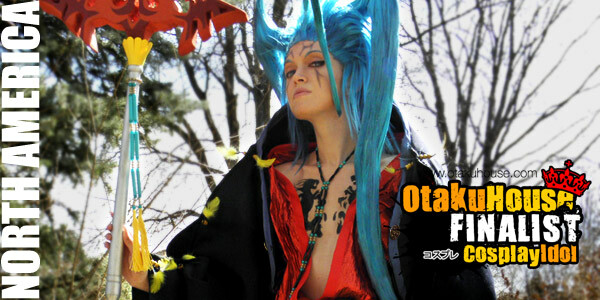 Description: My favorite Vocaloid. When I first heard Vocaloids singing I wasn’t aware they were synthesizer voices – I thought they were heavily edited human voices. When I found out what they were, I was amazed, and then I started noticing how mechanical they sounded. 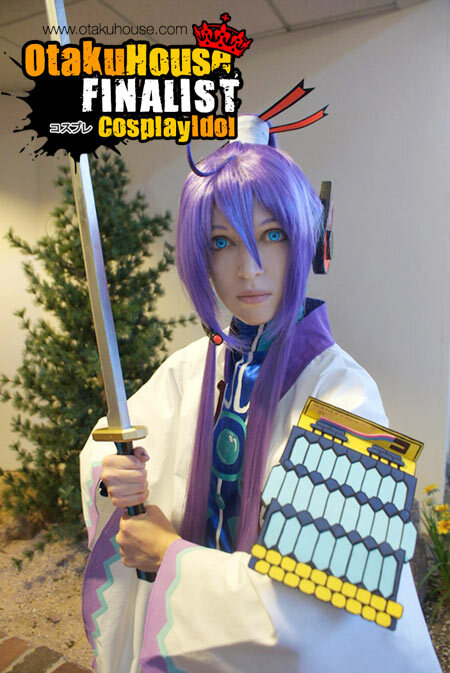 To me, though, Gakupo sounded the most humanlike, and his range of vocals - not to mention his design - quickly made him my favorite Vocaloid. Description: When I first played the DS game Subarashi Kono Sekai I fell in love with the character Joshua. He’s such an annoying jerk, especially to Neku, his playing partner. Last year I got a job teaching English in Japan, and I was able to visit the city of Shibuya, the same city in which the game takes place. I was so excited! Seeing it as a once-in-a-lifetime opportunity, I cosplayed as Joshua in front of the Shibuya tag wall (if you’ve played the game you know what I’m talking about). Yes, that’s THE tag wall behind me! It was so hot that day (early August), and I had been traveling by bullet train and regular train for hours to get to Shibuya (I was living 150 miles away in Shizuoka, near Mt. Fuji). Needless to say, I love how this turned out.